The de Nigris Gruttai are fruit condiments that can be used in the preparation of a variety of dishes. Made from fresh fruit and contains fresh fruit pieces. Shake well to obtain full flavor! 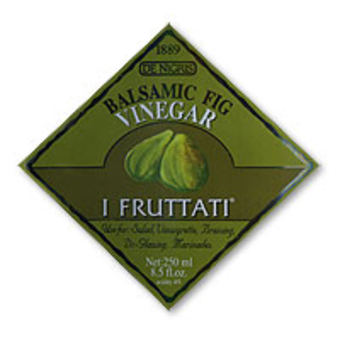 Great for dressing up berries, meats such as pork or beef, and salads. Made using the Balsamic method with natural figs from Sicily, Italy.